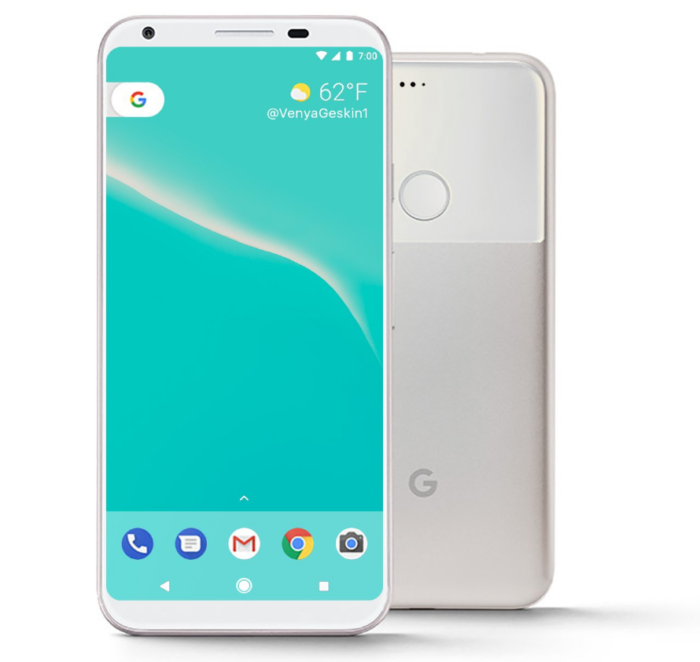 Google Pixel XL 2 was spotted on GFXbench and some expected specs surfaced. Now a new leak came up showing Pixel XL2 having Android 8.0. Which is the latest OS to be launched. The device will have a 2.35ghz octa-core processor coupled with 4GB RAM and an inbuilt 32 or 128GB storage. The storage could come in device variants. Pixel will be a 5.7 inch display of 1440×2560 pixels. Camera shooter of 12MP primary and 8Mp Secondary. My problem is that this phone has no dual camera.